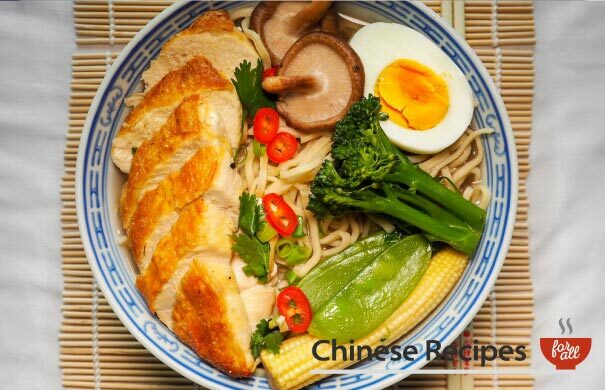 These tasty udon noodles take in so much flavour. We're a big fan of udon noodles. They're available in all supermarkets and are so easy to cook! 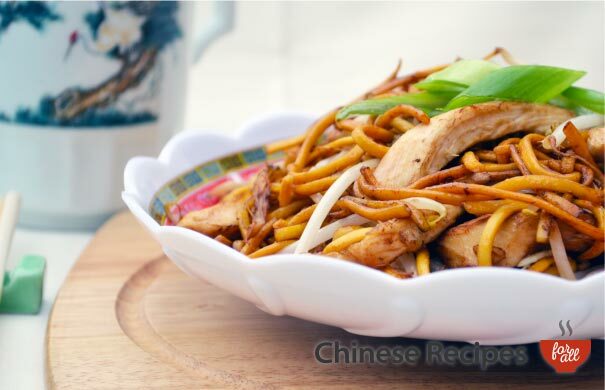 This recipe the noodles take on the ginger flavour and tastes absolutely delicious. 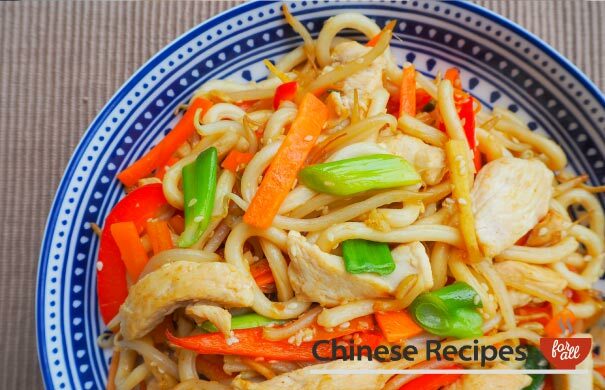 Cut the chicken into slices and fry in a wok for 1.5 minutes. 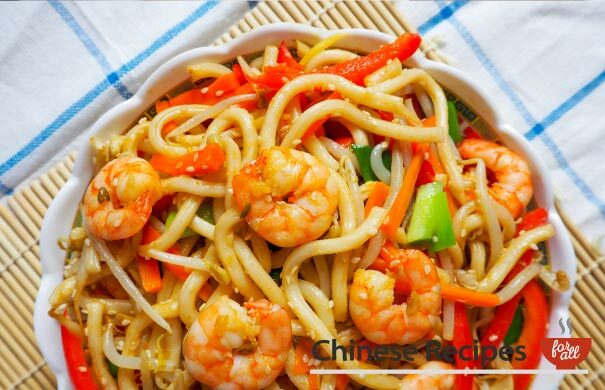 Once cooked, place it in a dish to the side and begin cooking instructions. Slice ginger, red pepper and carrot into thin slices. Heat oil in wok on high heat. Fry ginger, pepper and carrots for 3 minutes. Add beansprouts and chicken and fry for 2 minutes.